Closeout. 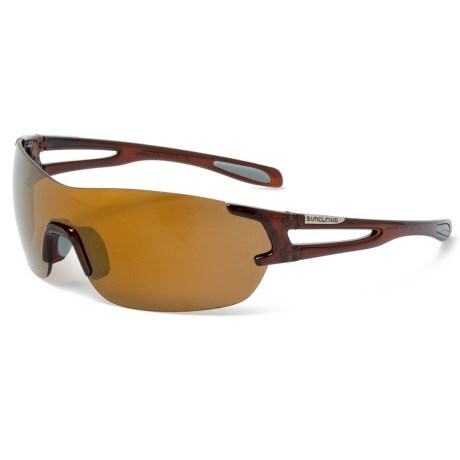 Your ticket for clear views on any adventure, Suncloudand#39;s Airway mirror sunglasses have a sleek, semi-rimless design, and polarized lenses to eliminate glare on land, snow and water. Available Colors: CRYSTAL BROWN/SIENNA, WHITE/BLUE.